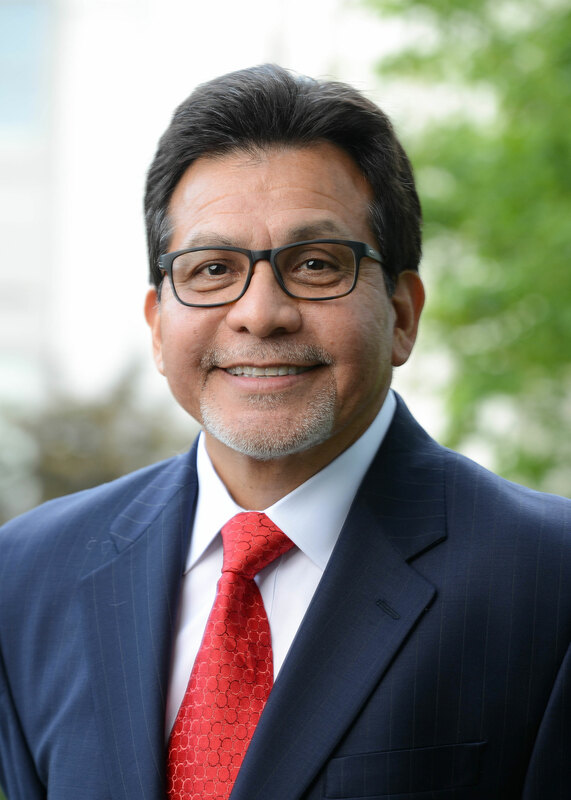 After attending the United States Air Force Academy, Alberto R. Gonzales received a Bachelor of Arts degree from Rice University and a Juris Doctor degree from Harvard University. He was nominated by President George W. Bush and confirmed by the United States Senate as the 80th Attorney General of the United States in February 2005 and served in that capacity until September 2007. He has worked as a partner at a major Houston law firm (Vinson & Elkins) and held government positions as a Justice on the Texas Supreme Court, Texas Secretary of State, General Counsel to the Governor of Texas and Counsel to the President of the United States. Judge Gonzales has also served as a Visiting Professor and minority/veteran recruitment consultant at Texas Tech University. Presently Judge Gonzales is a member of the NCAA Division I Committee on Infractions, the Commission for Uniform Legislation, and the American Law Institute. He also serves on the board of directors for the United Way of Metropolitan Nashville. Previously he served as an appointee to the Tennessee Governor’s Commission for Judicial Appointments and the Governor’s Management Fellows Executive Committee. For his many accomplishments and years of public service, Judge Gonzales has been recognized as a Distinguished Alumnus of Rice University and received the Harvard Law School Association Award, the Central Intelligence Agency’s Director’s Award and the Office of the Secretary of Defense Medal for Exceptional Public Service. His work in the Hispanic community and his achievements as a role model have also earned him recognition as Hispanic American of the Year by HISPANIC Magazine and one of The 25 Most Influential Hispanics in America by TIME Magazine. Judge Gonzales became Dean of the law school in 2014 and presently holds the Doyle Rogers Distinguished Chair of Law. An endowed “distinguished” chair is a permanent tribute to the person whose name it bears. Belmont University’s Doyle Rogers Distinguished Chair of Law is named in honor of attorney Doyle Rogers. A graduate of the University of Florida and its Levin College of Law, Mr. Rogers was the senior shareholder in the prominent law firm of Alley, Maass, Rogers & Lindsay, P.A., in Palm Beach, Florida. Mr. Rogers practiced successfully as a lawyer in South Florida for over 50 years and passed away in January 2016. Dean Gonzales teaches Constitutional Law, First Amendment Law, National Security Law, and Separation of Powers at Belmont Law. Alberto R. Gonzales, True Faith and Allegiance, NELSON BOOKS (Fall 2016). Alberto R. Gonzales & David N. Strange, A Conservative and Compassionate Approach to Immigration Reform, TEXAS TECH UNIVERSITY PRESS (2014).